Elizabeth (Beth) Joy Olive is a multi-faceted athlete who has a love for the arts. Beth is an avid artist and plays the guitar. She was inspired by her grandmother who is also an artist and strives to be the best she can be. Her grandmother can be often quoted saying “never give up” and Beth lives by that great advice. Her determination led her to compete at the 2006 USA Games in Iowa where she returned with five gold medals. 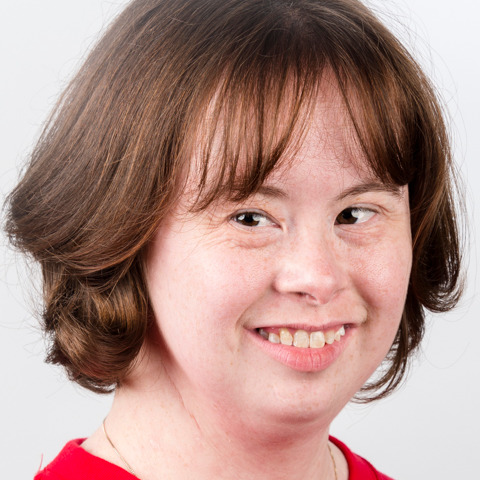 Her dream for the world is that, “Everyone is kind and [I want] people to know that individuals with disabilities can do great things.” When Beth is not competing, she is working at her job with Edgar’s Bakery in Birmingham, Alabama. She has been employed there for over 12 years!